Spain’s Cepsa has introduced new packaging for all its lubricants and coolants product range. The new designs offer significant advantages and are being introduced to make the packaging as attractive as possible and make it easier for customers to identify products. They also offer better resistance, and handling, while maintaining the optimum condition of the product. The continuous search for effective solutions led to the design of an innovative image that are color-coded, making the products more easily identifiable: gold for synthetic lubricants in the XTAR premium range, silver for the Avant and Genuine ranges for less demanding engines, red for auxiliary systems or other uses, and white for the premium coolants range. To this end, the labeling for these products has also been reviewed to include new symbols and technical information, to make the product information easier to understand. The new packaging, which has passed rigorous physical and digital testing, is more resistant, as it includes two support points on the upper section. As well as offering customers a leak-proof guarantee, the new design distributes weight better, and optimizes storage and transport space. A number of ergonomic features are also included to make the products easier to use, such as the side handle or the textured plastic to help hold the product and pour more easily. Another innovative characteristic is that the packaging is made with 30% recycled plastic, making it more sustainable and reflecting the company’s commitment to reducing its environmental impact. 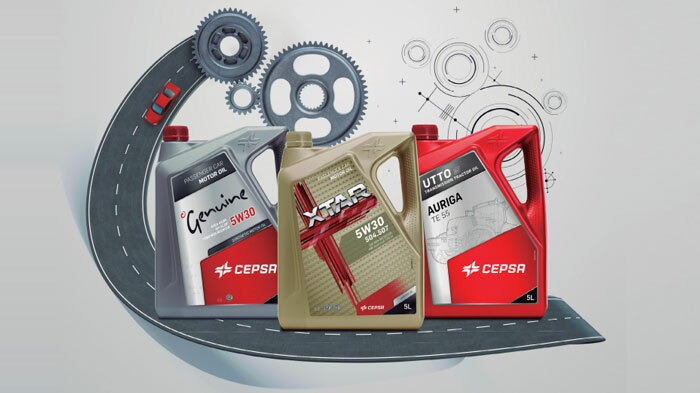 Cepsa has also introduced two new synthetic lubricants in its premium range (0W-20 ECO V IV and 0W-30 ECO F), which complement its XTAR range. These products are more efficient and sustainable, and developed specifically for some of the most advanced and widely sold diesel and petrol engines in the market. Cepsa has a diversified portfolio of lubricants, base oils and paraffin waxes, which it markets in more than 80 countries through a specialist sales team. Cepsa is a leading company in the production of finished lubricants and base oils in Spain where it has two specialist plants in San Roque, Cadiz, and in Paterna, Valencia, which also manufacture hi-tech coolants. The company also exports these products to Europe and other growth markets such as Latin America, the Middle East, North Africa and Asia, where it recently signed a contract with GP Global for the production and marketing of marine lubricants in India.